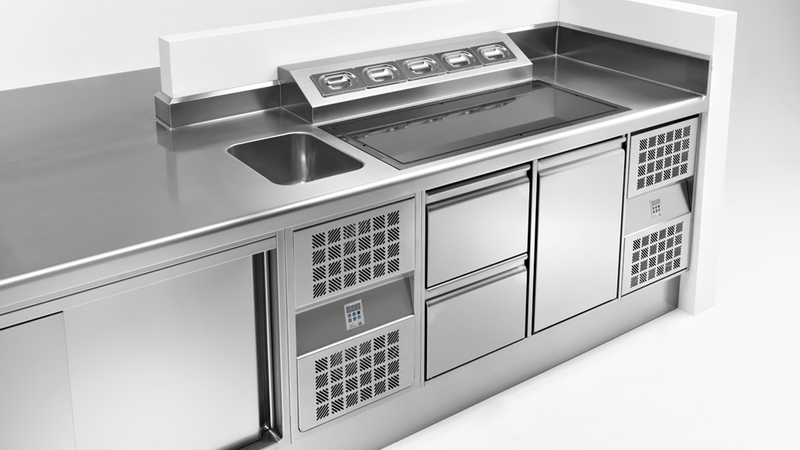 Preparation in a modern kitchen, needs to be rational taking into account work cycles and hygiene aspects. 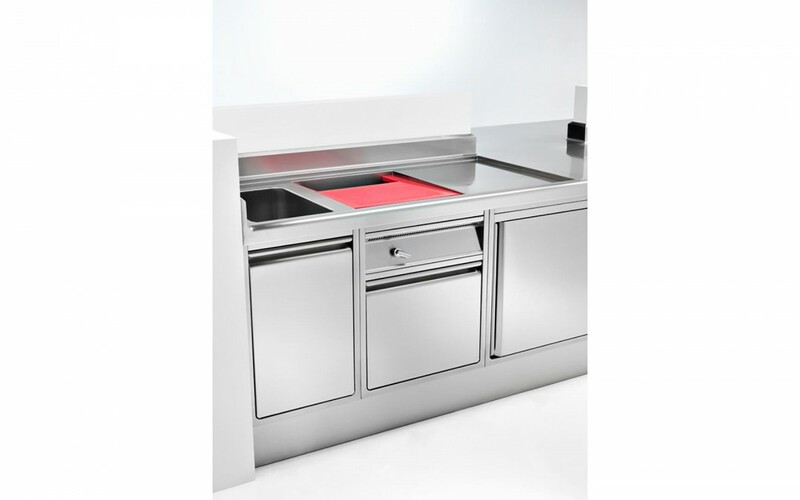 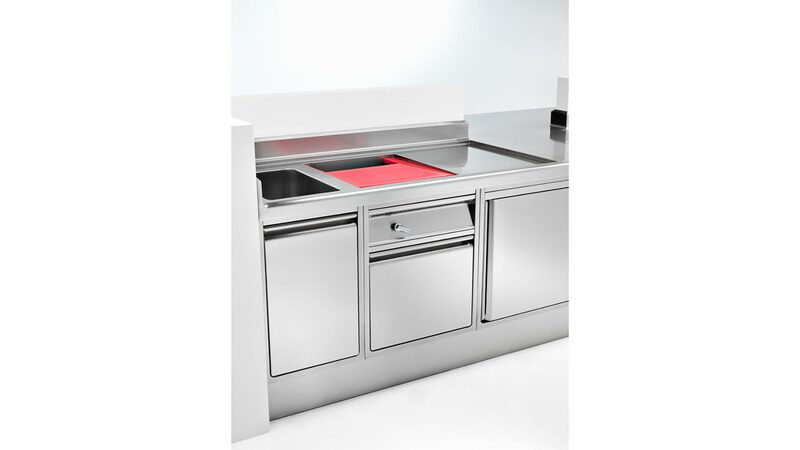 The separation between various work areas is a fundamental hygiene requisite in kitchen activities food preparation is camed out in stages and it is essential to avoid cross contamination between these stages. 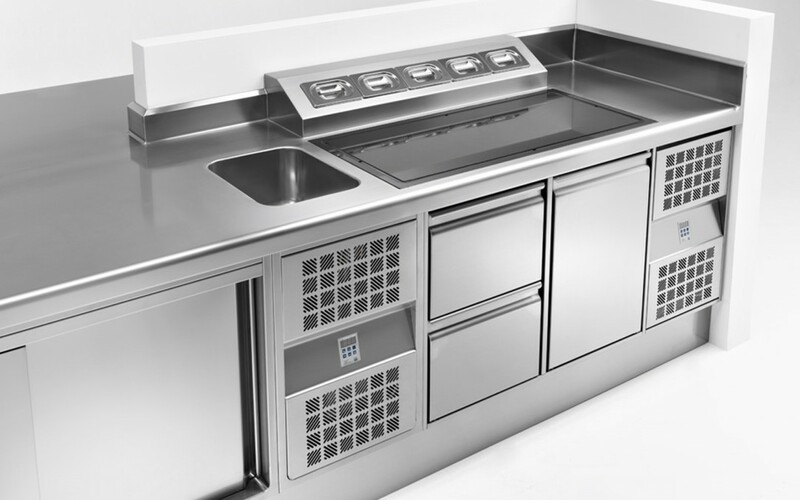 As well as keeping the areas separate, it is important to remember that the equipment must be kept separate at the various stages (pre or post cooking). 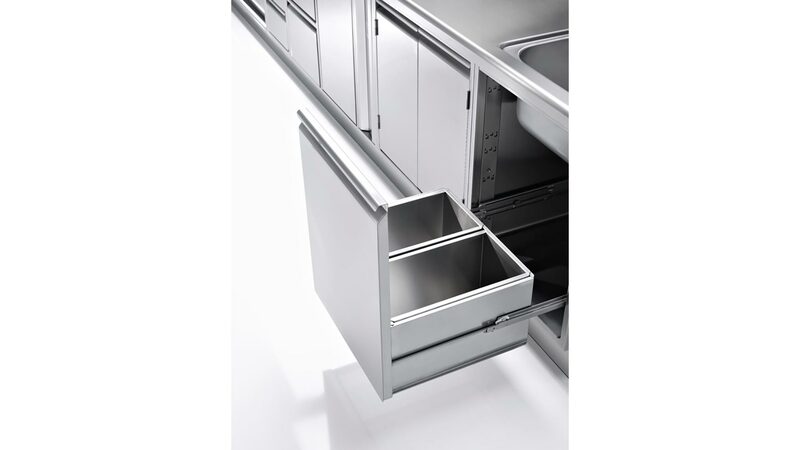 It must be built of a material that is suitable to come into contact with food (usually stainless steel) and also takes into account the different thicknesses of steel needed and its quality at the various phases. 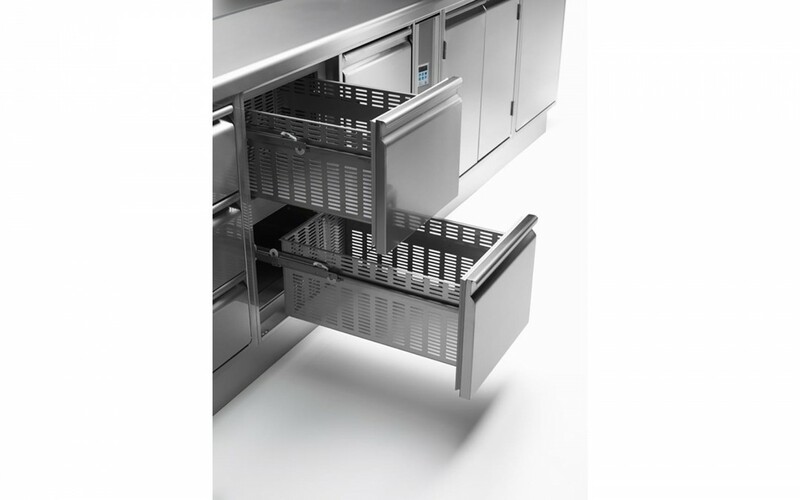 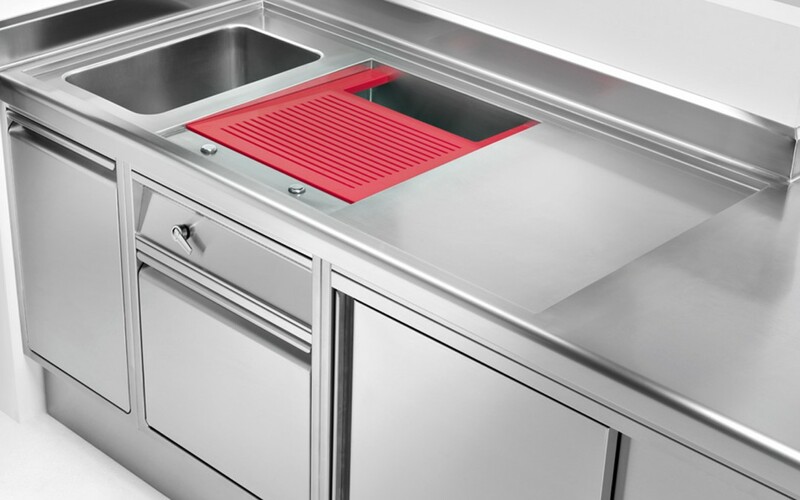 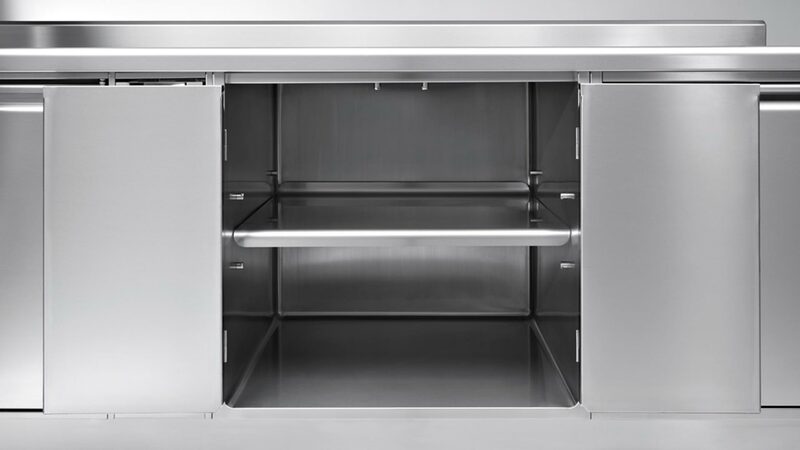 The position of the equipment is also important (suspended, feet, wheels, plinth) and has to comply with the hygiene and cleaning demands of the kitchen. 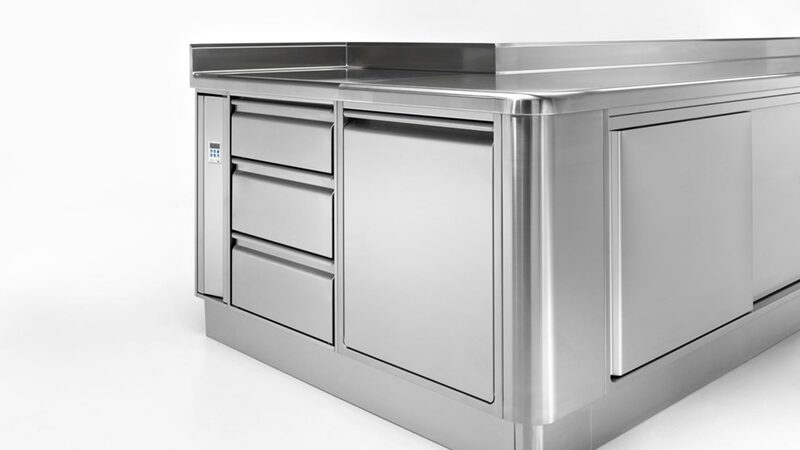 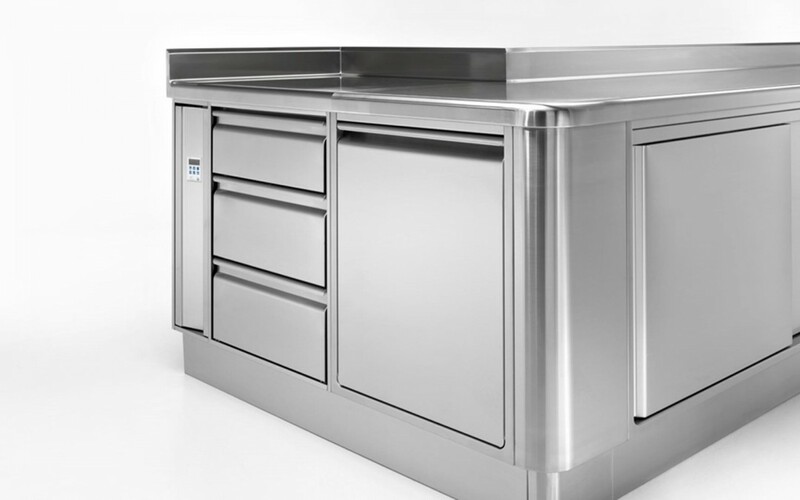 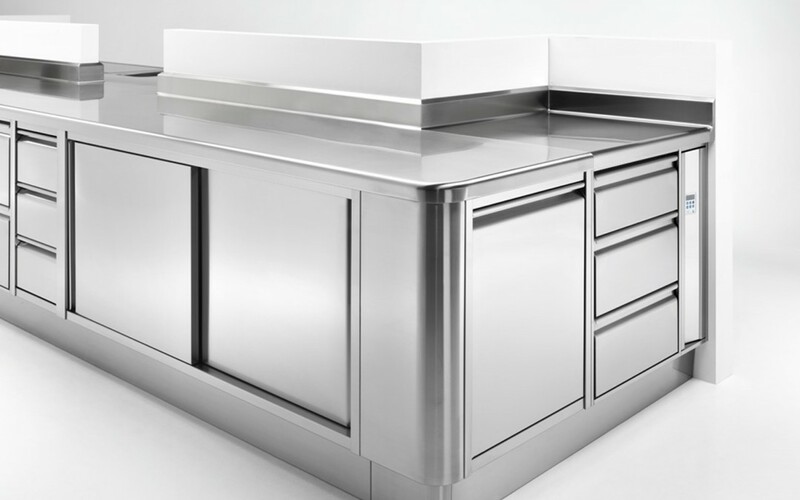 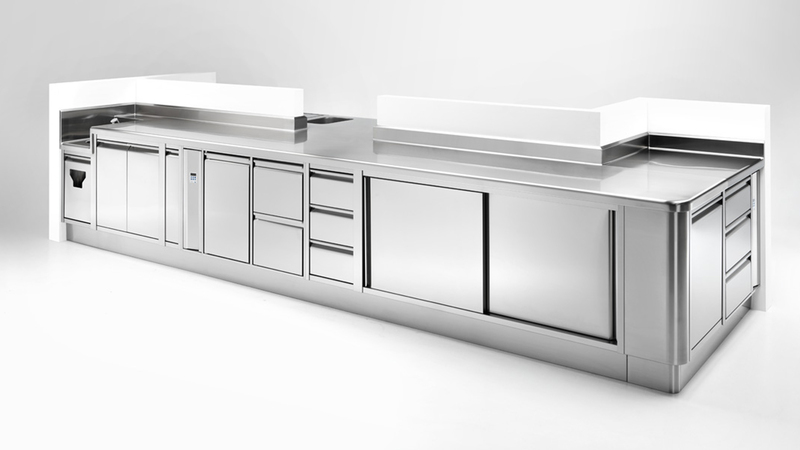 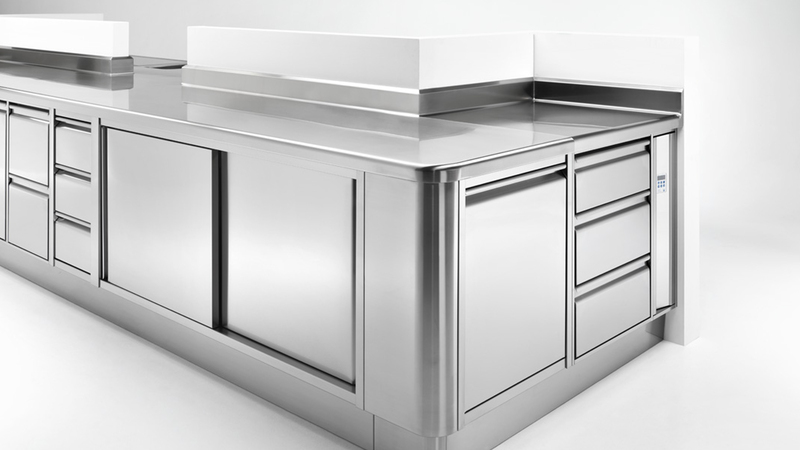 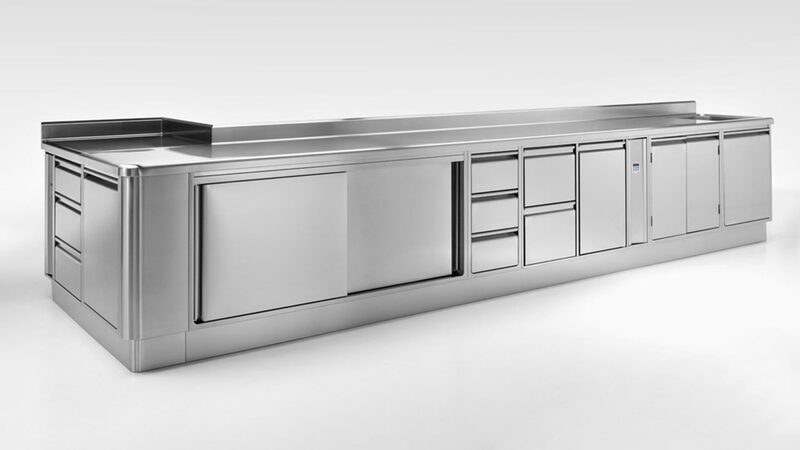 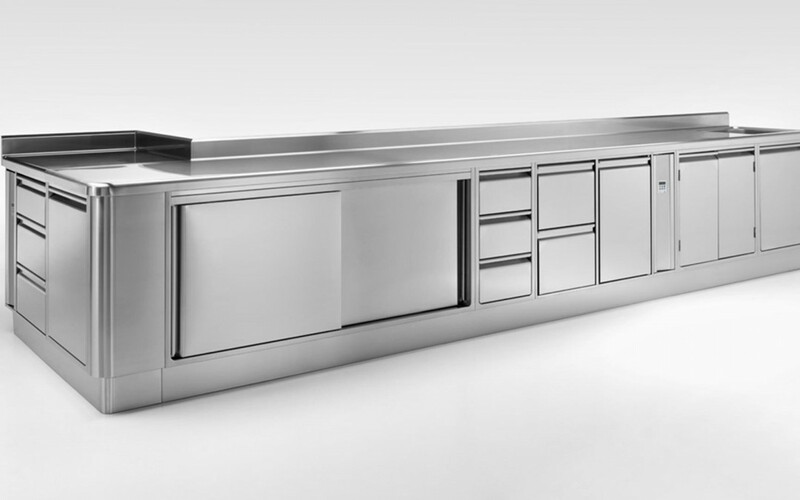 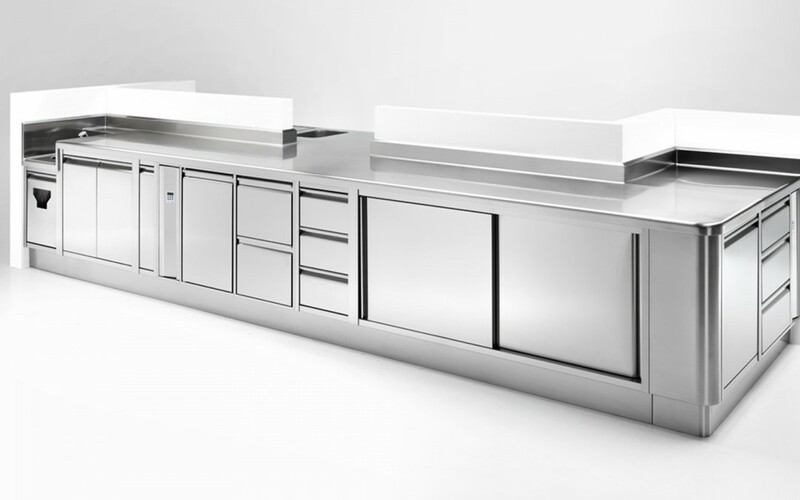 Our production philosophy, is based on a perfect integration of neutral, cooking and refrigeration functions where the aesthetical and dimensional homogeneities of our equipment combines perfectly with our tailored work tops. 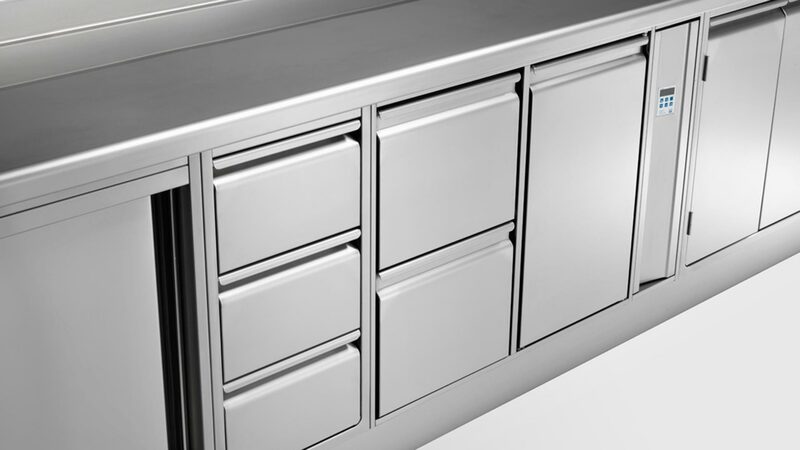 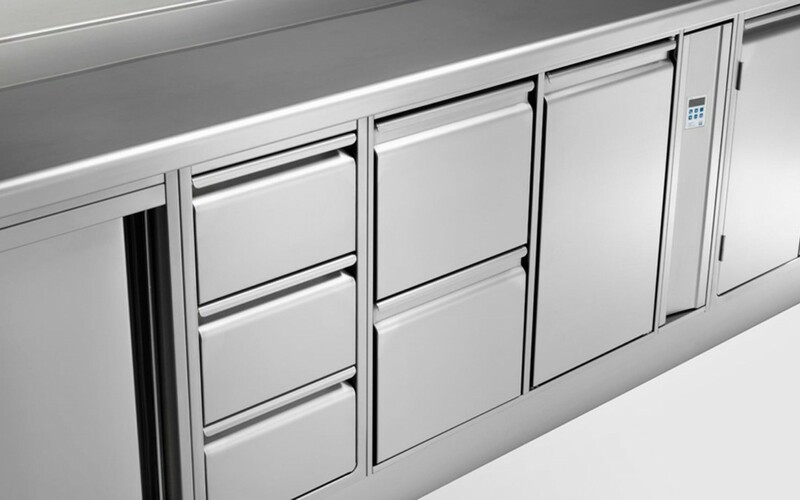 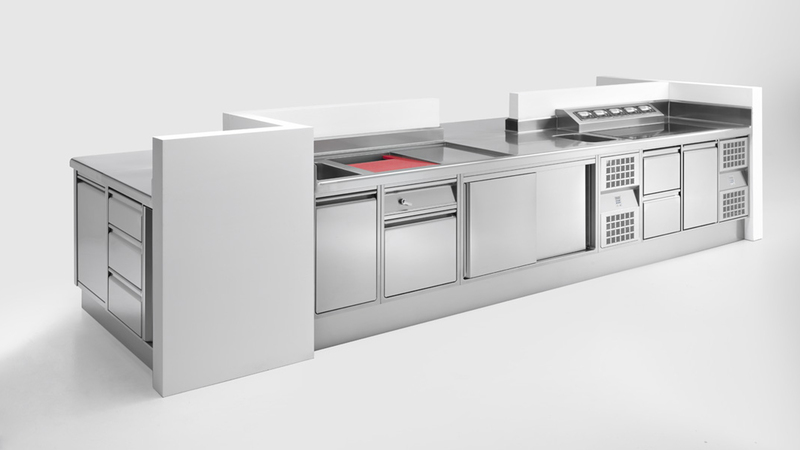 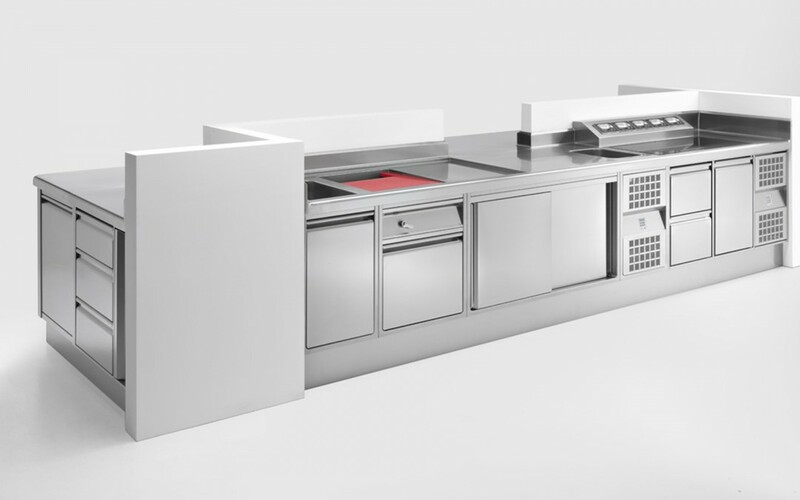 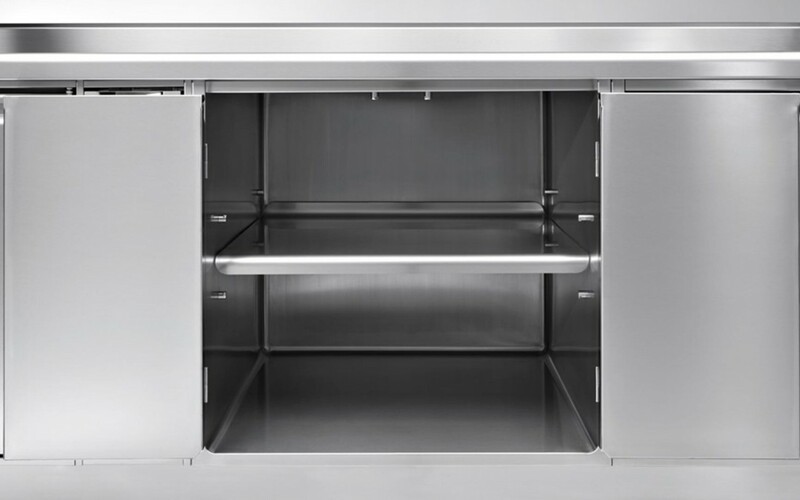 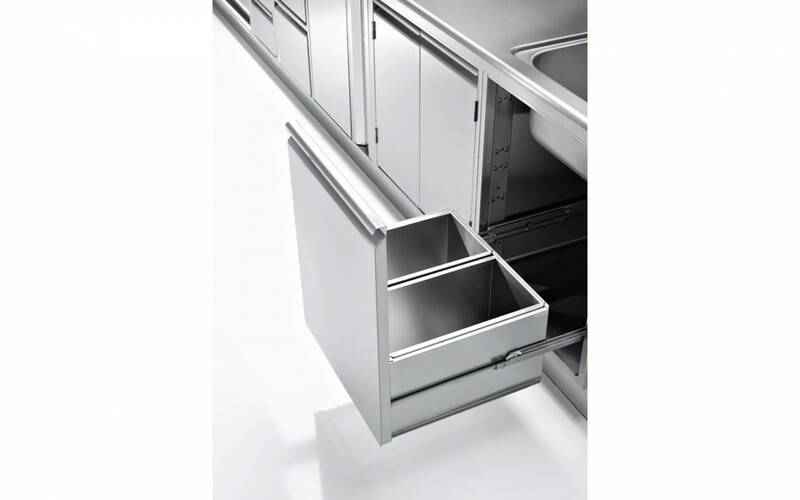 Euroinox combines a vast range of STANDARD products with a wide range of MODULAR ELEMENTS allowing us to satisfy the most demanding applications in functional and dimensional terms. 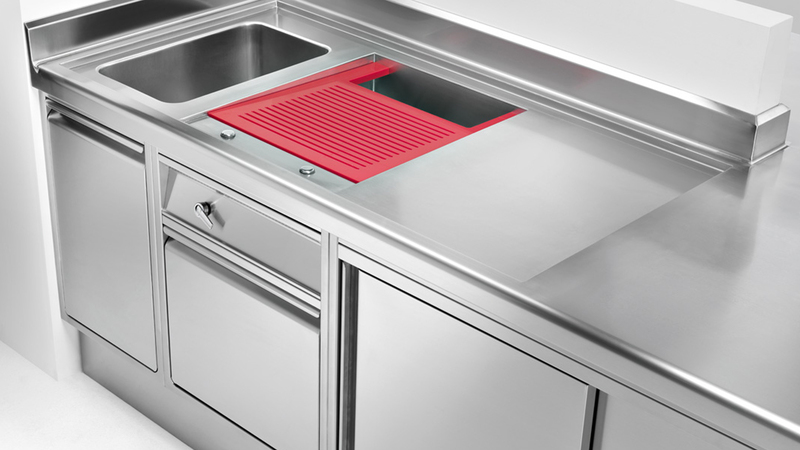 Hygienestandards – (standard “SHy”, first level of hygiene “Hy1”, second level of hygiene “Hy2”, third level of hygiene “Hy3”).